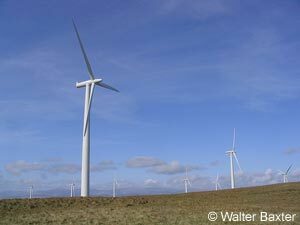 In 2005 Glencairn Community Council voted to set up Glencairn Community Council Windfarm Trust to handle the community fund from Wether Hill Windfarm in Glencairn. They further decided that the whole Community Council should sit on this committee which will be in charge of processing applications from the community. They would set the criteria and finalise the agreement with Scottish Power Renewables. Minutes of the special meetings held to date follow. Plus report of meeting with Contractors and SPR, Project manager etc.